CF000920 In Stock Online 30"
New for 2018, these imported keep creels have been constructed to our standards. Compact high holding capacity range, netted all round with bar base construction. Our two most popular sizes are 22" and 30" with top opening door, in 8mm steel. In order to keep your valuable catch safe all our keep creels come with shock cord and hooks. 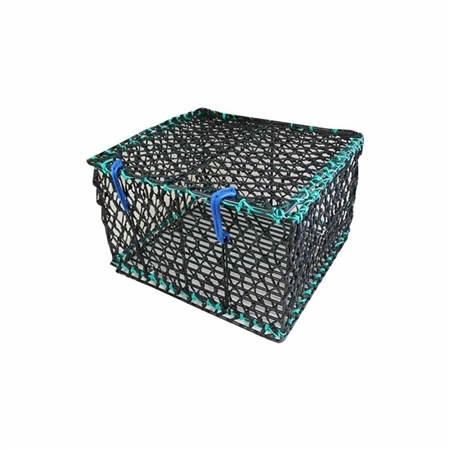 Suitable for the secure holding of lobster, velvet crab or brown crab catches.